How to fix passwords problems in WordPress ? You have forgotten your password and you had usedthe " Lost your password?" link from your WordPress login page. You have waited but you did not receive an email for you to reset your password. In this documentation we will discuss alternative ways to reset your password. Your email to reset password could have been marked as spam by your email server or desktop email client. You will need to look for it in your email server spam folder or desktop email client spam folder. Sometimes the emails are never sent because your email server requires SMTP setup, which is not supported by WordPress, unless you use a plugin. In this case, we should look at other alternative ways to reset your password. Yes, this is the most preferred method. Ask your web hosting company to help you reset your WordPress login password via your database. This way, you will not need to edit your database, and risk damaging it. Use this solution if you have a hosting server admin panel such as cPanel and there is phpMyAdmin software installed on your cPanel. Note: Any mistake you make, such as deleting an option will crash your site, and chances are no one will know what you did. Damage could be irreparable, this method is not recommended for beginners. Login into your cPanel and navigate to your phpMyAdmin, you may need to log into your phpMyAdmin in order to access it. Click Go button at the bottom to save your changes. Now you can try to login to your WordPress website with your new password. If you do not have access to phpMyAdmin, you can try using the following method. Use you FTP program to login to your web hosting server. Open up the functions.php file and scroll to the end of the page. Enter a newline and add the following codes. 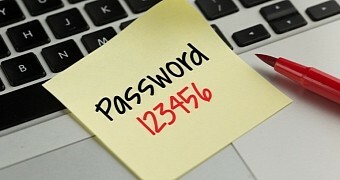 Replace your "YourNewPasswordHere" with your new password. The number 1 is your user ID in your WordPress users database. Save and upload functions.php to overwrite the copy on your server. Proceed to login to your WordPress admin. After you have log into your website, you will need to remove that code from functions.php. Use your FTP program to open up functions.php and remove the codes that you have added. Do this carefully, do not remove other codes or it's comments. How to fix "Your request timed out. Please retry the request" in WordPress ? How to fix an automatic theme update failure in WordPress ? How to fix "Error Establishing A Database Connection" in WordPress ?